From the moment you enter one of our stores, you are greeted with the sounds and smells of freshly-made confections being made right before your eyes! Whether it’s our creamy Mackinac Island Fudge, "The Perfect" Caramel Apple, hand-crafted Corns & Brittles, chocolate dipped Pretzels or Krispie treats, Kilwins provides an authentic sensory and taste experience like none other. Coupled with our high quality products, in-store craftsmanship, and genuinely friendly team members, we create an atmosphere that our customers want to visit again and again. Our customers have come to know and love us as “My Kilwins” and share Kilwins with friends and family. Made fresh just for you! Our hand-crafted selection of delicious Apples, chewy Caramels, mouthwatering Corns, and crunchy Brittles are all available in-stores or online. Our Original Recipe Caramel was developed by Don Kilwin and is still cooked in traditional copper kettles. Smooth and creamy with just the right amount of "chew", our Caramels have been satisfying customers for generations. In the mood for a Caramel Apple? 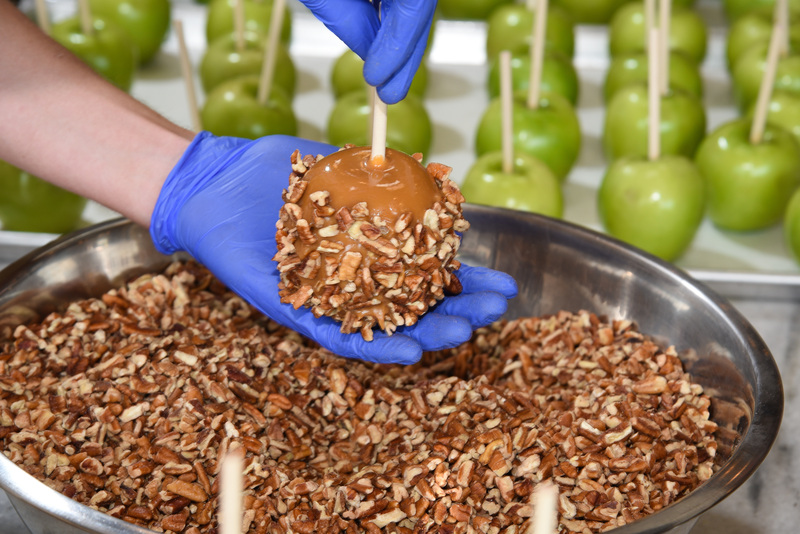 The Perfect Apple starts with the best Granny Smith apples available, hand-dipped in our freshly-made in-store Caramel. Our hand-crafted Corns & Brittles are made in traditional copper kettles, in our in-store kitchens! Try our signature Nutcracker Sweets, which combines freshly-popped corn, almonds, pecans, and caramel for that perfect sweet and nutty taste sensation. For our hand-crafted Brittles, we use only the finest nuts available and combine them with our kitchen-made Brittle candy with just the right amount of saltiness for that perfect salty sweet flavor combination.